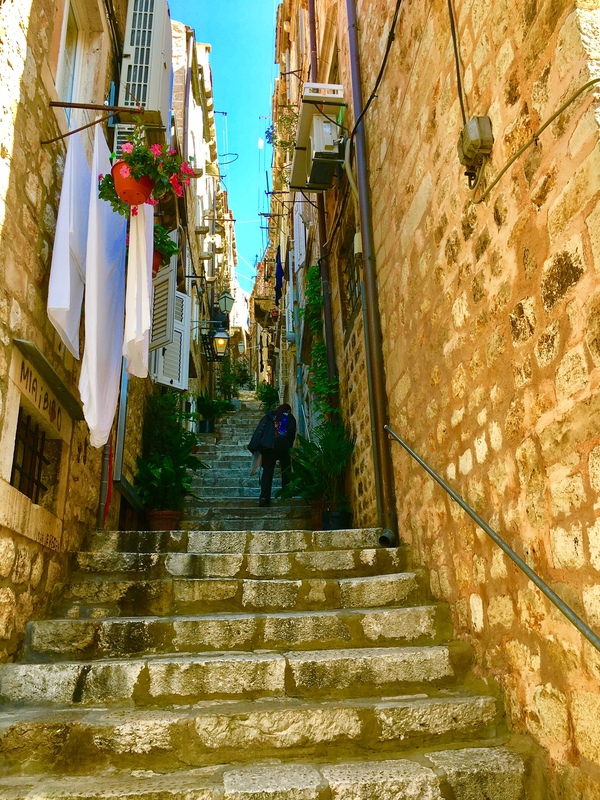 One of the countless steep stairways in Dubrovnik Croatia. On the Croatia tour. Mike Ross Travel.